Lisa studied Comparative Literature at the University of Washington, received her BFA from Cornish College of the Arts in Seattle, and received her screenwriting certificate from The FilmSchool. She has since leveraged her natural story telling ability and marketing skills into a talent for producing film and video. 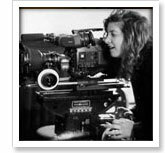 Lisa's unique ability to problem solve, create opportunities, and establish relationships has led her to produce a variety of film projects with budgets ranging from $1000 - $300,000. Producer credits include the shorts 8 Minutes to Love, starring Sandra Oh (Sideways, Grey's Anatomy); which was purchased by HBO Latin, and White Face, (Audience Award, Slamdance) which was subsequently purchased by HBO. Her other feature film credits include Inheritance which signed a foreign distribution agreement with Curb Entertainment and recently signed a domestic distribution deal with Ardustry Home Entertainment. Lisa wrote directed and produced Guerrilla Gardener, a Telly Award-winning short TV pilot, and wrote a Telly Award winning TV pilot for the National Geographic Channel called Profiles in Adventure. While currently writing screenplays for Paul Allen's Vulcan Productions and Alexis Ferris (Producer, Police Beat), Lisa also has several screenplays under consideration at leading production companies in L.A. and Seattle.